This article was published in the Queanbeyan Age on 30 June 2006. Local martial artists from Queanbeyan and Canberra joined their Australasian peers at the Wrest Point Casino and Convention Complex in Hobart, Tasmania, on 10 June 2006 for the tenth anniversary of the Australasian Martial Arts Hall of Fame (AMAHOF) and its annual awards presentations. Founder of the Peter Morton Academy of Judo Jujitsu Karate and local sporting and 10th dan martial arts legend, Peter Morton BEM (Frog) has been a member and supporter of the AMAHOF since his induction in 1997. Peter has impressive credentials and stature within the martial arts and local sports community and he is a leader when it comes to supporting instructors who demonstrate commitment, integrity and honesty in their coaching endeavours. This year, with the support of founder Peter Morton, the Peter Morton Academy of Judo Jujitsu Karate nominated Virginia Edgerley, a pioneer with the Peter Morton Academy of Judo Jujitsu Karate, and John Bear, head and principal instructor of Kokusai Jujitsu Ryu, for induction into the AMAHOF. Virginia was inducted into the AMAHOF as a Pioneer - Peter Morton Academy of Judo Jujitsu Karate (South Australia) and John was inducted into the AMAHOF as Instructor of the Year - Kokusai Jujutsu Ryu. Both Virginia and John were also inducted into the World Karate Union Hall of Fame, and the Australian Shihan Kai awarded a Master Certificate in Jujitsu to John. 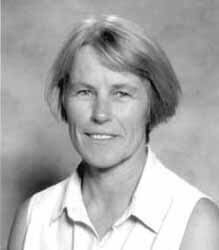 Virginia Edgerley (nee Pysden) began her martial arts training with Peter Morton in Queanbeyan in 1965 and trained up to and received her 4th Dan black belt in 1999. She instructed at the Queanbeyan branch of the academy from 1967 to 1975. Virginia moved to South Australia in 1976 and opened a local branch of the Peter Morton Academy of Judo Jujitsu Karate in 1978. Virginia, a school teacher and community volunteer, has dedicated her life to teaching and helping children in her local community. John Bear began his martial arts training in 1968 and holds black belt ranks in several martial arts. He has taught Kokusai Jujutsu, Shotokan Karate, Japanese sword and other Japanese martial arts in Canberra and Queanbeyan since 1970. 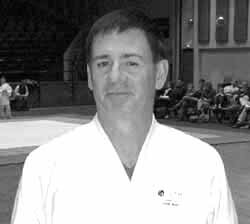 John is regularly invited to conduct international and national martial arts seminars and he has been a regular guest at the Peter Morton Academy of Judo Jujitsu Karate local seminars, which over the past eighteen years has led to a close association with Peter Morton. John is also an official martial arts coach with the Canberra Police and Citizen Youth Club and supports the Youth at Risk initiatives of the Australian Federal Police. Martial arts have become an important and growing recreational industry in recent years and the type of recognition that the AMAHOF awards presents for leading Australasian martial artists acknowledges their contribution and commitment to their art, local youth and the community.